Recettear: an item shop’s tale is an indie (“dōjin”) Japanese RPG for Windows released in 2007, and translated in 2010 by an indie localization shop. It’s a small but cute and funny thing. This profile is based on the English translation of the game. Real Name: Louie (last name unrevealed). 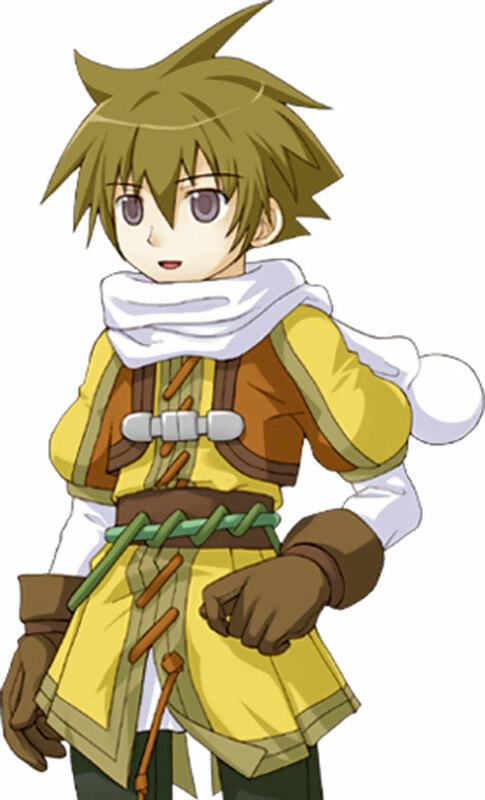 Recettear names notes: Most characters have a French name, so Louie might be “Louis” instead. On the other hand he’s said to come from a different country, so the different spelling might be a sign of that. Or maybe it was spelled that way so people wouldn’t pronounce the final “s” (which is silent in French). Louie is your typical sword-and-board heroic fantasy fighter. Meaning he fights with a broadsword, a medium shield and chainmail. Though he’s not particularly large or muscular, he’s a surprisingly strong, fast and tough lad. Louie can endure repeated assaults and strike mighty blows. His cleaving strikes can often hit multiple opponents in one swing. In general he’s significantly more dangerous than he looks. On the other hand, he’s not the sharpest knife in the drawer. He also has fewer magical skills than most adventurers. He can cleave through the air with his sword to hurl a magical projectile at his enemies, but this is seldom done. The equipment in our game stats is for the semi-early game – a steel sword, iron armour, a tier 2 shield, etc.. Later on he would have magical equipment (hopefully bought from the Recettear shop. Capitalism, ho !) with special abilities and later still equipment built using magical fusion. When new dungeons were discovered around the town of Pensée, adventurers came in. One of them was Louie, who came all the way from his much colder homeland far in the North. When he reached Pensée he was penniless, which left him in a bind. Only accredited adventurers could be hired, but to be cleared by the local adventurers’ guild Louie needed to overcome a small nearby dungeon. Unfortunately, without money Louie couldn’t equip himself for this foray. Overhearing his recriminations, would-be magic items merchants Recette and Tear approached him. They agreed to loan him weapons and armour in exchange for looting rights so he could take his adventuring test. Louie was successful, and Recette and Tear could loot odds and ends to help get their items shop started. In a typical fit of generosity, Louie gave them his first adventurer’s business card – which meant that Recette and Tear could legally hire him to enter dungeons. Louie continued his career in Pensée, with Recette and Tear being frequent employers (and often loaning him the best sword they carried at the shop when working with him). Louie was also a regular at their business. Louie is a nice and generous young man, but he’s thick as two short planks. He’s terminally unable to manage his money, blowing it all on silly things and regularly ending up in such dire poverty that he cannot afford a meal. He’s also none too quick on the uptake. Louie wears his heart on his sleeve, is very open with his emotions, and always help the downtrodden. Even if he barely has enough to pay for a sandwich to feed himself, he’ll end up giving half of it to a begging, emaciated street dog. Unfortunately, that also means that he’s highly gullible – and terrible at assessing risks. One fears that his adventuring career might be short. Projectile Weapons has a Catastrophic Burnout, and Louie must be wielding a sword to use it. Evasion only when wielding a shield and facing the projectile. 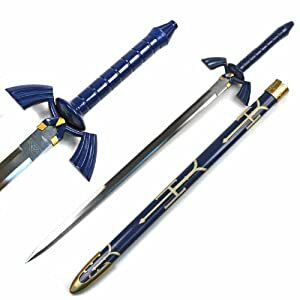 Weaponry (Swords) has Multi-Attack 1. Lightning Reflexes, Misc. : Louie is registered with the Adventurers’ Guild. He also presumably has a Language from his homeland. Partial Attack Vulnerability (-1CS RV vs. Persuasion), Debt 2 (Fiscally inept). Sword [BODY 04, EV 04 (05 w/STR)]. SMALL SHIELD [BODY (Hardened Defenses) 04, EV 02, Recommended STR 01, Note: OV/RV bonus when using the Block Manoeuvre is 1 AP, Note: the OV bonus for the Shield Cover Manoeuvre is 1 AP]. CHAINMAIL [BODY 03, Skin armour: 01, Drawback: Real Armour]. Other Recettear adventurers have a repertoire of special moves modelled as special Rituals. However, Louie has only two and his main special move is easily rolled into the Multi-Attack Bonus, so Rituals would be overkill. Source of Character: Recettear video game. Louie voiced by Sakato. Writeup completed on the 23rd of March, 2015.